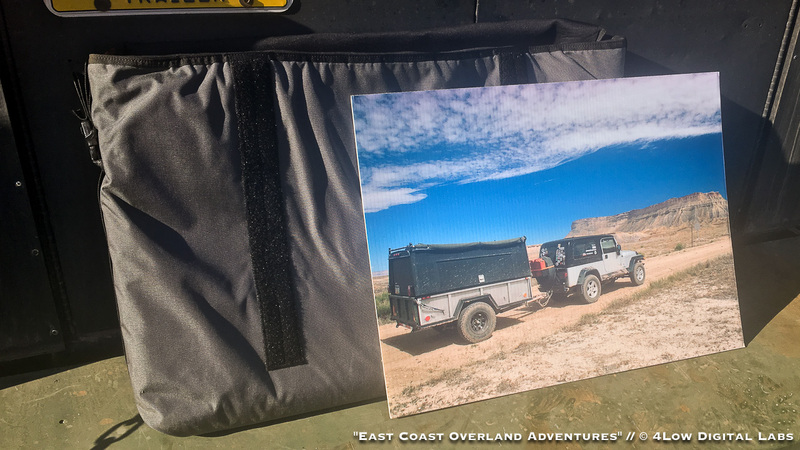 A lifestyle blog focusing on the overland adventure niche with a slant toward east coast destinations. Articles covere a range from entry level novice topics to trip planning and trip reports. Have you ever walked past a shelf and a product just jumps out at you as a "must have"? 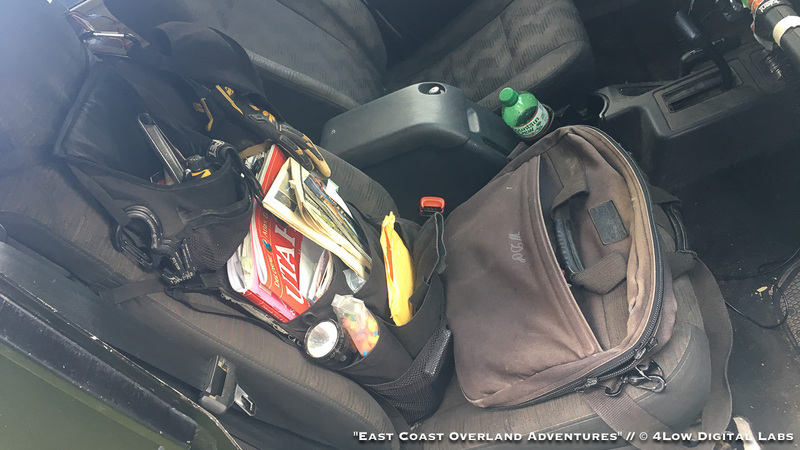 That's what happened with the Blue Ridge Overland Gear "Got to Go" Everyday Carry Kit Bag. My new everyday carry bag. This was my EDC bag for almost half my life. While not a bad bag by any means, it's old, faded, torn, and due for retirement. 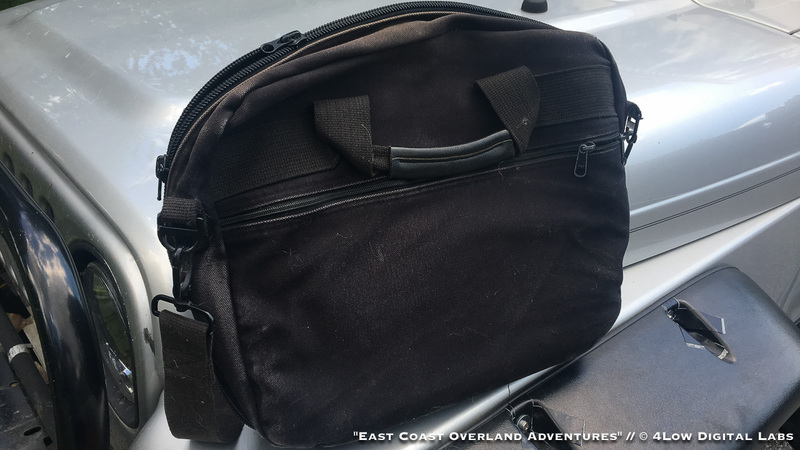 For reference, my previous EDC bag was an old Lands End brand attaché case. I got it as a "going back to college" gift the Christmas of 1999. 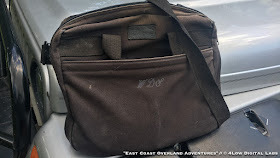 The bag has been on almost every adventure with me every since. It usually rides on the front seat of the Jeep or just behind it never out of reach. 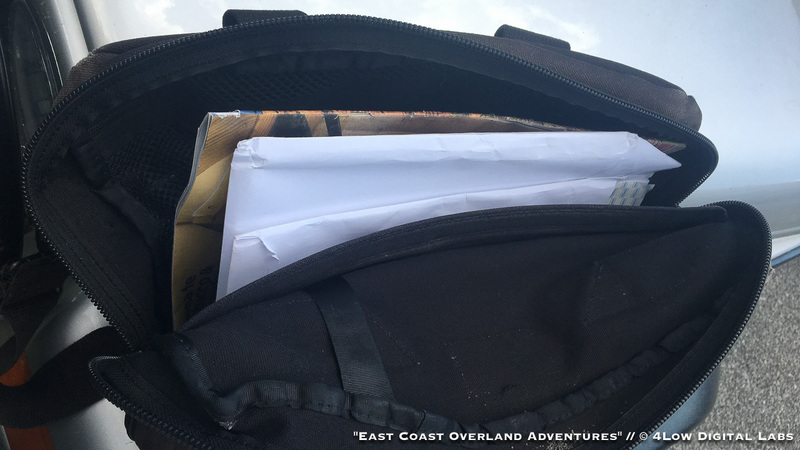 It's carried everything from school stuff, business documents, maps, camera gear, and on occasion doubled as an overnight bag. It's even been my go-to carryon bag for my airline flights. However, over 18 years of use and abuse the bag was due to be retired. The backside is still dark black compared to the faded and red-tinged front. You can also see how basic the bag is. Unpadded with a few small pockets and dividers. The Lands End bag is surprisingly sturdy given it's age. The only real quality issue I have is that the black canvas has faded from UV exposure over the year (I told you it rode on the front seat of my Jeep a lot). My main complaints thought are it's comfort and functionality. Comfort wise the basic shoulder strap is uncomfortable after a while. The interior of the bag also lacks any kind of padding or pouch for my iPad. However, nostalgia usually wins out and the best gear has the best stories to go with it. 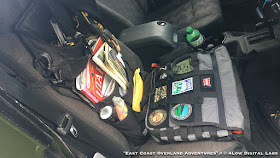 It would take one hell of a bag to replace my trusty EDC bag. Time for some new hotness. 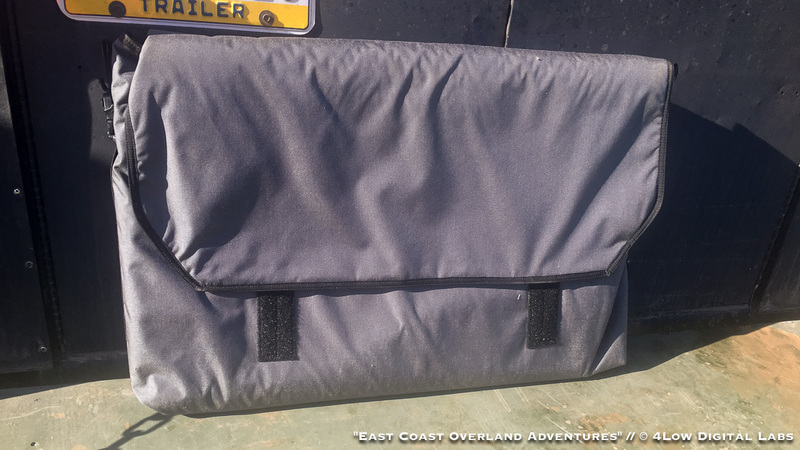 Blue Ridge Overland Gear makes some high quality bags. I felt it was time for an upgrade. And look at that padded shoulder strap. So comfortable. The BROG bag is just the bag to replace my old EDC bag. 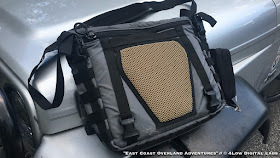 At just over twice the retail price of an equivalent replacement Lands End bag, my first questions centered around what I'd be getting for the money. My next question was wondering what would be the life expectancy of the new bag. 18 years (and running) isn't an easy bar to beat. Bag is lightly padded and there is an interior padded pouch for a small laptop (or in my case demo copies of my book). The cover flap is also super nice and secures tightly negating the need for inconvenient zippers. The first thing I noticed about the bag the first time I picked one up off the shelf was how sturdy it was. Cloth of flexible, soft, and not very structural on it's one. However, a skilled tailor can usually work their magic and add structure. That's just what the team at BROG does. They work with a wide range of fabrics to give the most amount of structure they can. The same goes for functionality. The second thing I noticed was the skillful use of different fabrics to maximize the functionality of the bag. My old bag was rather basic. Black canvas with a few pockets made out of the same black canvas the body of the bag was. The strap was black nylon. It was, well, basic. The BROG bag is anything but basic. Multiple pockets, MOLLE loops, padding, and buckles cover the bag. That's not to say the bag is busy. I've seen bags that have all kinds of features without any functionality. 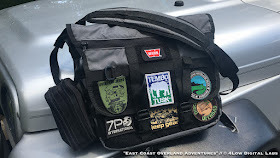 This EDC bag is well thought out. With a solid assortment of additional features without becoming "taticool" or "gaudy" with too many needlessly features. Even the back of the bag is epic. Nice padding for when you're carrying it on your back of side. Also multiple clips for accessories. 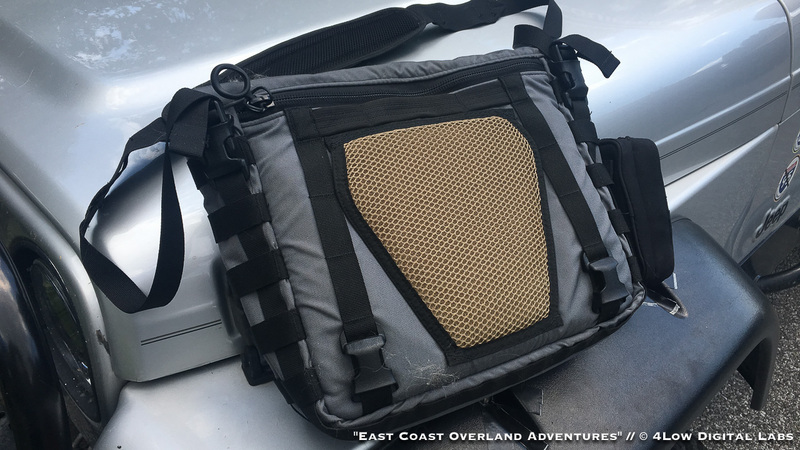 The final thing I noticed about the BROG EDC bag was how comfortable it was. My old bag was basic which meant comfort took a backseat to functionality. It's obviously that the team at BROG put just as much thought into comfort as they do functionality. The fit of the bag hangs nicely, is very adjustable for different body types (<looks at belly>... <cough> and sizes <coughs>), and has padding it all the right places. Most importantly, for me at least, it has internal padding which is great for protecting a small laptop/netbook/tablet which was one criteria I had for a new bag. ...or at least clean it out from the Expo West trip. So far I've only been using the bag for just over a month. 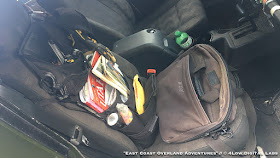 I picked it up on my way to Overland Expo West and quickly transferred everything from my old bag to it. It's then been my EDC "man purse" ever since. One of the first things I added to it was a MOLLE compatible pouch I've had for-freaking-ever (honestly have no idea when I got it) that I currently use to store and transport my spare camera batteries and charger for my Canon 5Dmk1. It used to ride inside my old bag or get looped on the shoulder strap. Both were, at best, inconvenient, and at times annoying. Now it rides on the side of the BROG bag. Just further proof to the flexibility of the bag and how thought-out the design is. 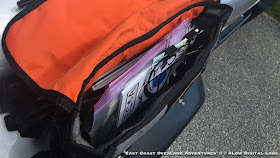 Ever since I started 4Low Digital Labs I have been on the quest for a bag to transport my display photos. Over the years I have had various photos enlarged and printed on outdoor full-color vinyl (the same stuff you'd wrap a car with) and mounted on smooth-sided corruplast (corrugated plastic). While the photos are very sturdy I have never found a good functional transport bag for them. Luckily at 20x30 inches they aren't overly large. My only solution thus far was using a pillowcase. This was an accidental epiphany one day as I was packing the laid the stack of photos on my pillow and realized they were the same size. Sadly a pillow case, as functional as it might be, is basic thin fabric with little to no added protection. Also, pillowcases don't have handles. Custom oversized carry bag for my 20x30 photos. Luckily BROG not only makes great production products, but they also do custom work. 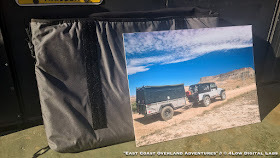 After a brief discussion with Matt at BROG about what I needed and wanted from a photo transport bag I had him make me a super-sized version of their Trip Planning Bag with internal dimensions large enough for a stack of 20x30 mounted photos. Hey, when you see something that it's almost what you need but the wrong size why reinvent the wheel? Just make it bigger. 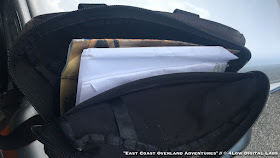 Just like with the EDC bag, I picked up my new photo bag on my way to expo. I emptied the pillowcase and the photos got a new lightly padded home. The three essential features I wanted, and were so pleased to have, were a shoulder strap, a horizontal orientation, and a cover. These features would make transporting the enlarged and mounted photos to and from my classes at expo a lot easier. It would also make storing them inside the trailer for long periods of time a lot better since the padding in the bag would offer more protection than an un-padded pillowcase. I have just over a half dozen of these prints. All 20x30 inches mounted on corruplast. This bag is a real step up from an un-padded pillowcase. So, if you're ever in the market for a new bag be it off-the-shelf of custom, give BROG a call. Better yet, swing by their shop if you're ever in central Virginia. Make sure to say hi for me! If you enjoyed this product review, and would like to be a part of helping ECOA fulfill our mission to educate, encourage, and inspire by doing more product reviews, please considering joining the ECOA Patron Support Team. Not only will you help take ECOA to the next level but you'll get access to patron exclusive items like hardcover copies of the 2017 No Highways Tour books as well as a 10% discount at the ECOA/NHT online store on cool swag like patches and stickers.